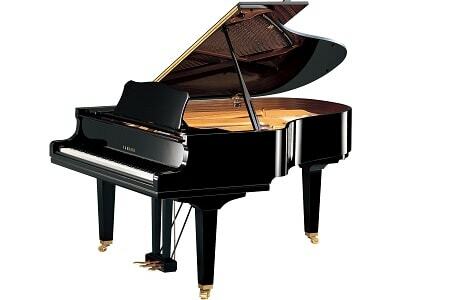 With its superb sound and excellent resonance, yet retaining an affordable price tag, the GC2 is a very popular instrument with aspiring pianists. Based on the legendary Yamaha Conservatoire series design, the GC2 features a tone collector which directs sound across its solid spruce soundboard, resulting in a purer, richer sound. The rich tonal character is enhanced by duplex scaling, whilst Yamaha’s renowned high-quality keyboard action allows sensitive control over dynamics and articulation. At 173cm in length, the GC2 is perfectly sized for the home or small venues and will impress with its rich and clear sound.